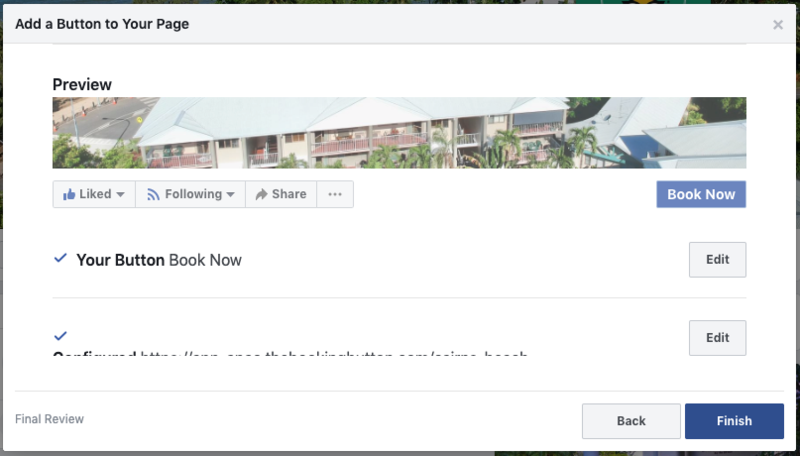 Facebook has become a powerful way to promote small hotels and holiday apartments. So you set up your page and posted all these beautiful photos. Well, don’t stop there. Think about this: If your social media visitors love what you offer, is there an easy way for them to make a booking? There’s no better way to do this than a Book Now button right there on your page. 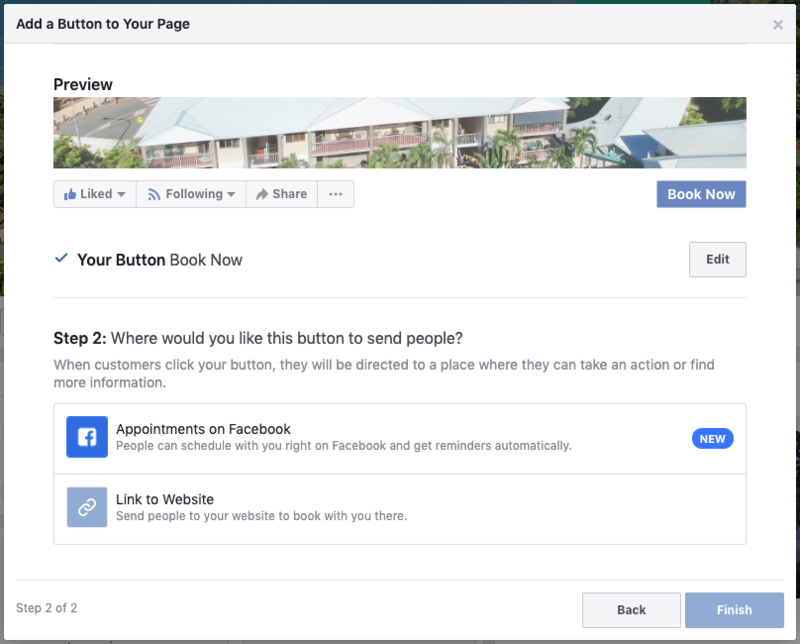 Check out this simple guide to turn your Facebook page into a direct booking engine in just 3 minutes? Please note: you will have to be an admin, editor, moderator or advertiser to add a Book Now button to your Facebook Page. 1. Go to your Facebook Page and underneath the cover photo, click Add a Button. 2. You have lots of options here. You will choose Booking with You - Book Now. And Click Next. 3. Here you will choose Link to Website. 4. A pop-up window will ask you for a URL Link. Depending on the direct booking engine you use, you should have a Link. 5. All look good and just click Finish. Tahdah? Congratulations! 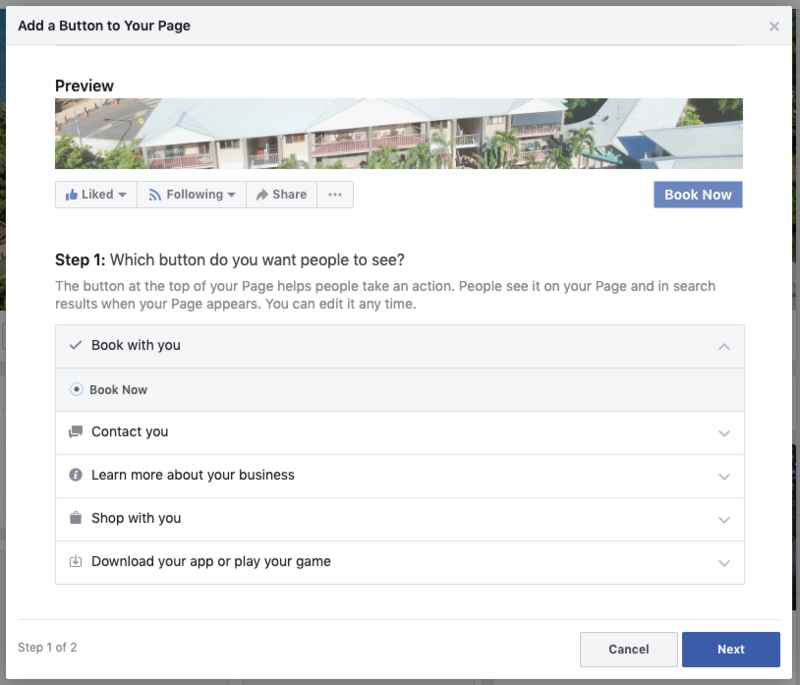 Your Facebook Page just became a direct booking engine. Go ahead and give it a try? Do you need help with your Sales and Marketing? DYNA Marketing is here to help? Book a free consultation to find out how we can help you take your business to the next level with our Revenue Management and Digital Marketing expertise. Subscribe to our newsletter so you can get them in your inbox first. Should hotels be responding to every single online review?